Observe rare and endangered animals in their natural habitat. See the animals like Tigers, One horned Rhino etc. 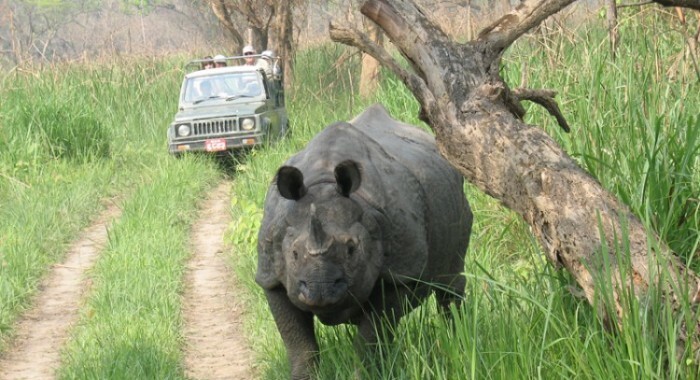 Jungle Safari Tour in Nepal is one of the best adventure trip in Nepal. Jungle Safari In Nepal offers unique wild adventure for nature lovers, wild animal spectators and bird watchers. Jungle Safari Tour In Nepal is suitable for the people of every age i.e. from teenagers to oldies. The Jungle Safari tour offers you to encounter even the rare and endangered species of flora and fauna in their natural habitat. March, April, September, October, November and December are the best month for Jungle Safari Tour in Nepal. Nepal has various sites for wild life safari tours among them Chitwan National Park, Bardiya National Park and Koshi Tappu Wild Life Reserve are most popular wildlife adventure destination in Nepal. 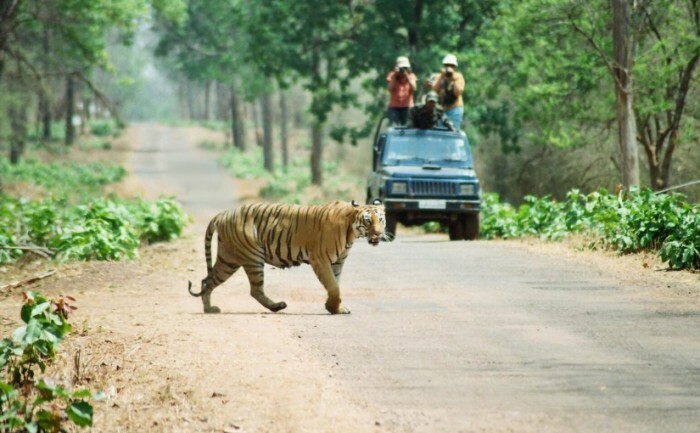 Jungle Safari Tour can be done in one day / two days or may extend to weeks as per the travelers choice and holiday frame. Nepal has total 9 National Parks, 3 wildlife reserves, 6 conservation areas and 1 hunting reserve covering a total of 28,999 sq. km. The National Parks and Wildlife reserve area in Nepal are mostly covered by Sal forest with a good balanced mixture of grassland, and riverine forests. It is here that visitor’s get chance to see great variety of wildlife. One can get fantastic experience of jungle safari riding in the back of an Elephant or also in four-wheelers with an expert naturalist to view wildlife in their natural habitat in one of our Nepal’s wild life safaris. Our entire Jungle Safari in Nepal package includes elephant ride safari, bird watching excursions, jeep riding safari, nature walks and short tour to the nearby village and explore the unique traditions and culture of locales. We will visit the cultural museums if available and enjoy the cultural entertainment performed by the village peoples. The Jungle safari Tour will give you the lifetime remembering adventurous experience. Chitwan Jungle Safari is one of the excellent adventurous tour for nature lovers, and those who love to explore the wildlife. Jungle Safari in Chitwan National Park offers the opportunity to encounter even the rare species in their own habitat. Bardiya National Park is second popular destination for Jungle Safari in Nepal after Chitwan National Park. Bardiya being far from the major tourist hub; Kathmandu and Pokhara is not explored by many Tourists.